So much for the money!! House, Acreage, Pool, Shop, RV Cover, Shelter in the country!! Updated home with fresh paint, updated bathroom, new HVAC in 2014, updated plumbing , new metal roof installed 2016, and In ground Salt Water pool installed 2016. One bedroom home that could easily be three bedrooms. Additional bedroom with no closet but could easily be added. The other room was converted a laundry room but could easily be made back into a bedroom if need as there is still a washer/dryer hook up in the large pantry. There is a mobile home located on property but is just used as storage. Invisible dog fence to remain with property. Home is centrally located between Dublin, Macon, Sandersville, Wrightsville, and Louisville. 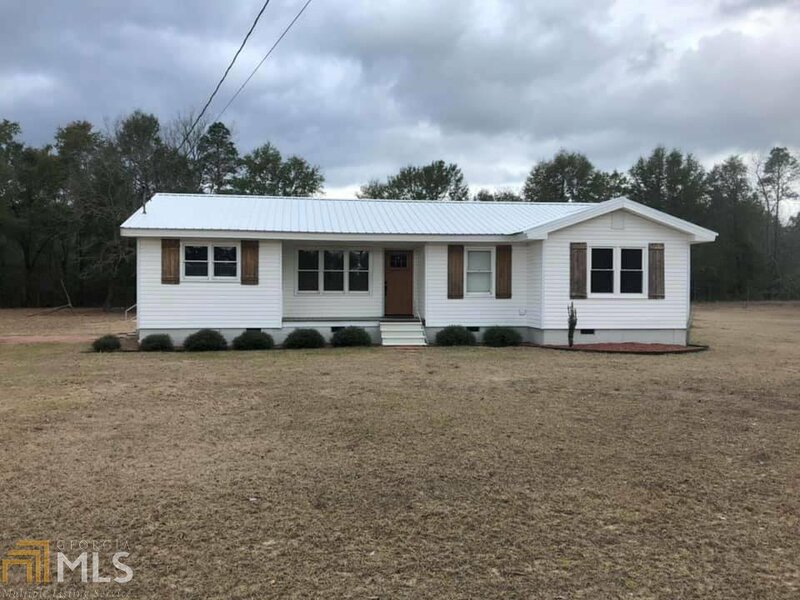 Listing courtesy of Century 21 Durden & Kornegay. Selling Office: Town & Country Re & Inv Co Inc.